This room is the largest of the 4, at just over 450 square feet. It is in the newer part of the house on the 3rd. floor. It has 14′ cathedral type ceilings, formal living room with a corner fireplace large t.v. with cable, air conditioning and compact refrigerators. 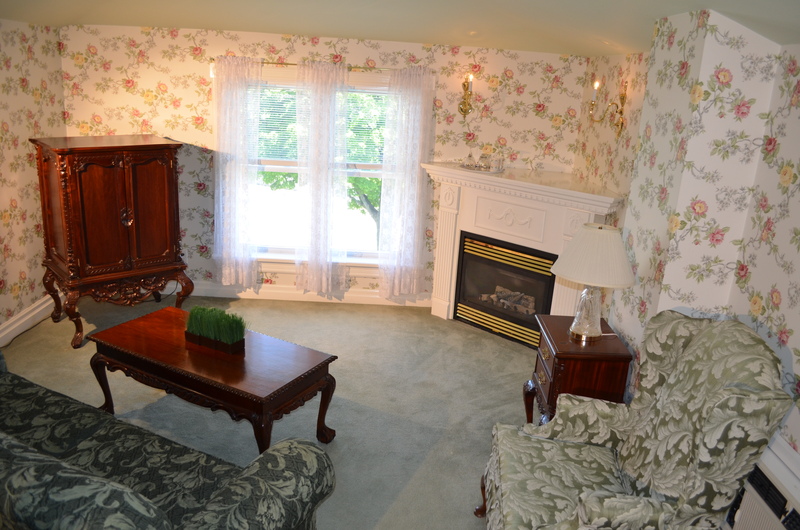 The custom wallpaper has a very light background with burgundy climbing roses and gives this room elegant feel. 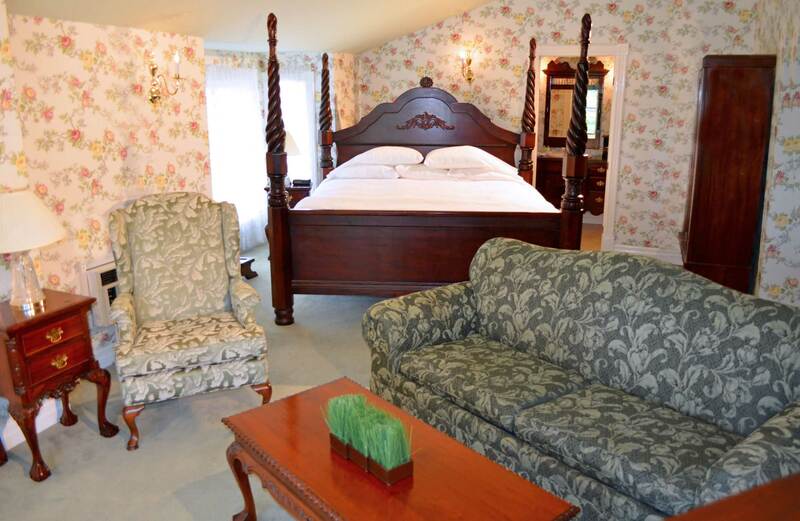 It has a wonderful view of the Niagara Gorge and River. 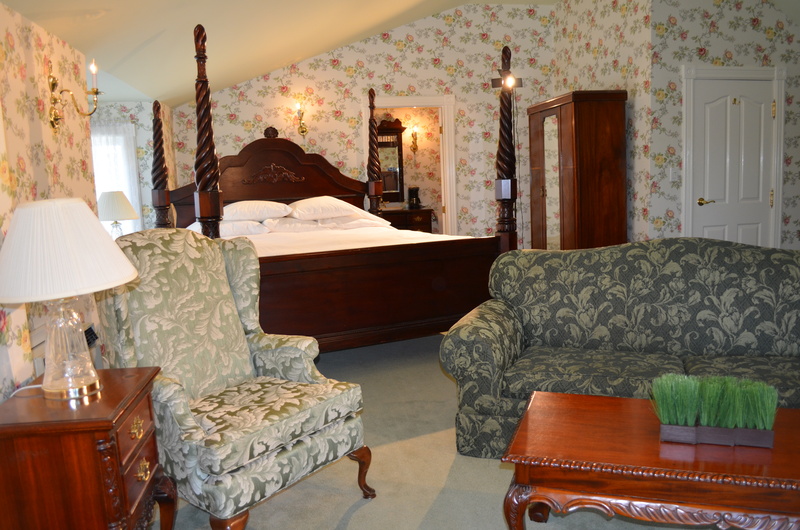 This room also boasts a 6′ four poster hand carved king bed, complete with steps to climb up. 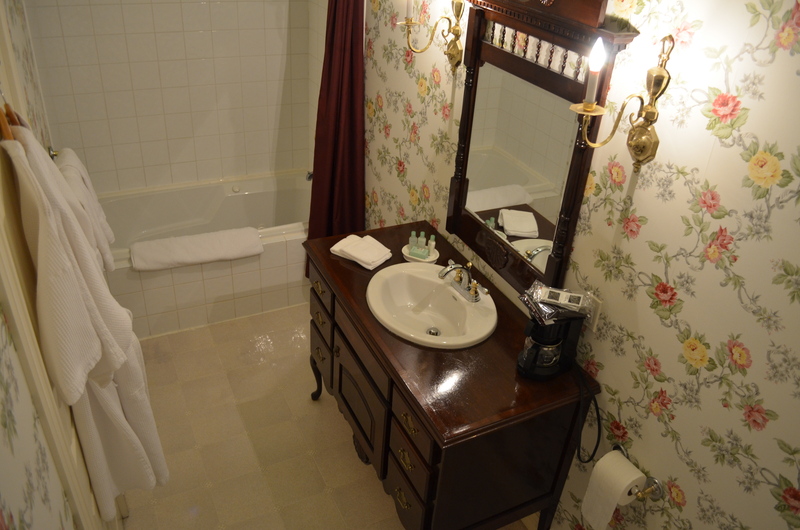 There is a large ensuite bathroom with shower and personal Jacuzzi tub. The main feature of this bathroom is the custom Victorian sink.